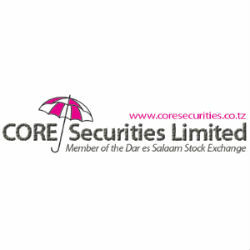 According to the Weekly Market Report of the trading week ending on 27th June, 2014 issued by CORE Securities, named East Africa Best Advisory Brokerage by Capital Finance International, the Dar Es Salaam Stock Exchange total turnover in the market decreased by -65% to TZS 2,368.54 million from TZS 6,753.91 million the previous week. Both local and foreign investors participated in the market. Foreign Investors participated by 16.00% while Local Investors by 84.00%. On Friday 27th June 2014 TSI Closed at 3,564.00(+0.88%), IA closed at 4,071.10(+1.46%) and B I Closed at 3,509.21 (0.00%) points. Most of activities were seen on CRDB, TBL & NMB counters. On Friday 27th June, Gold Closing Spot Price was down by -1.06% to TZS 70,399.73per gram, compared to TZS 71,152.07 a week earlier. On Friday 27th June 1USD=TZS 1,653.02 (BOT mean rate), representing an deppreciation of -0.004% for the tanzanian shilling, compared to a week earlier. Last week 1USD=TZS 1,653.08. The annual headline inflation rate for the month of May 2014 increased to 6.5 % from 6.3% in April 2014.